You may recognise 23-year-old actor Jassa Ahluwalia from BBC Three comedy, Some Girls, if you don’t, you may want to look again, as the talented actor is about to become a regular face on TV starring in some of 2013/2014’s big dramas. 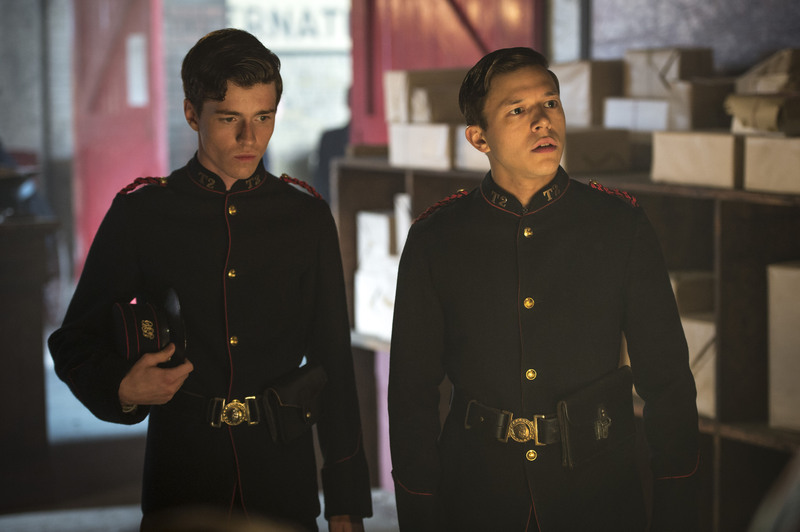 Jassa lead guest stars in this week’s episode (Mon 25 Nov) of the second series of Ripper Street: Threads of Silk and Gold, as Vincent who becomes embroiled in a case H-Division are investigating. Jassa can also be seen playing Owen Coffin in BBC One’s adaptation of The Whale in 2014 and as Young David in The Bible mini-series (coming soon to Channel 5) – which attracted over 13 million viewers in the US earlier this year. What can you tell us about your character Vincent Featherwell in this week’s Ripper Street? On the surface Vincent is a street smart telegraph boy trying to make his way in the world. But that’s not the whole truth. He is an exceptionally confident leader with much bigger plans for the future. He is the driving force in the relationship between him and his colleague/lover David (Alfie Stewart). He has absolute strength and isn’t afraid to stick his finger up to society. How did the role come about & what interested you in the role? I was actually heading abroad for a long weekend after wrapping on Some Girls when the script came through. I didn’t have time to meet anyone in person so I shot the scenes on my phone and sent them off – just a few hours before I had to catch my flight! I was initially being considered for David but the character just wasn’t working for me and Alfie had nailed it. I was then asked if I’d like to read for Vincent. His energy immediately struck a chord with me. His confidence, daring and instinctive distrust of the system excited me and I felt the character coming to life. Thankfully Kieron (Hawkes, Director) felt the same! It very cleverly intertwines the story with the modern theme of gay rights. Did you research much of what it would be like to be gay in those times? The short answer is no. I’m a huge believer in the script and Toby Finlay penned an incredible episode, one of the best I’ve ever read. My research took the form of investing in the script and trusting Kieron’s vision entirely. What I focused my energies on was bringing Vincent to life as a human being. The episode does very cleverly intertwine modern themes but it’s ultimately about a timeless idea – treating people equally. What really enthralled me about the project as a whole was that these ideas and our heroes are essentially in opposition; Reid (Matthew MacFadyen) is charged with upholding the law, but the law discriminates. What can you tell us about BBC One’s The Whale? Sadly I can’t say much just yet (though I have received word of a cast and crew screening in the near future) but I can reveal that I play Owen Coffin, relative of George Pollard, Jr., captain of The Whaleship Essex. They were in the middle of the Pacific ocean, as far from land as it is possible to be on earth, when their ship was struck and sunk by a whale. The story of the crew’s struggle for survival is harrowing but one that truly shines a light on the value of life. You’re probably best known for your role as Rocky in BBC Three comedy Some Girls, has that brought you a lot of attention and roles? I don’t know really. It’s raised my profile the most out of anything I’ve done thus far. I’ve just been incredibly fortunate I’ve had such a variety of roles; my role of Owen in The Whale is completely different from Rocky, The Bible and my character in Ripper Street. The common thing that all of these projects have, is they’re all brilliant stories. I love the collective effort of filmmaking. That’s why I’ve always been drawn to filmmaking and tv rather than stage. I’d love to do stage work to experience that though. Is there an actor you aspire to? Ben Afleck and the work he’s done with the films he’s written and directed. I’ve started producing, I’ve done a short film recently called Modern Man. Also I’ve been writing and learning about (script) writing for a few years to build that side of my involvement in the industry. 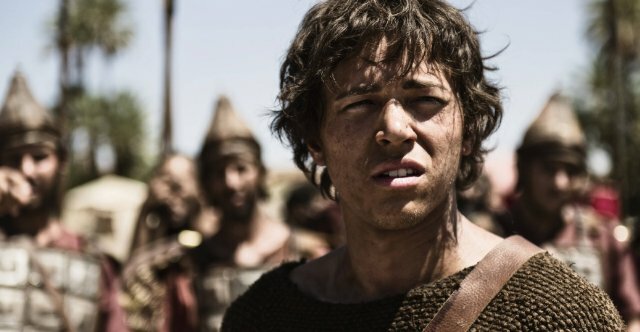 The Bible has attracted 13 million viewers in the US, has that opened doors? Is US TV and movies a direction you’d like to take? Yeah I think so. I’ve always just wanted to do the best possible work that I can do. I think there’s so much incredible stuff that’s coming out and being made in the US, both in cinema and TV. I’m definitely interested to work there. There’s so much great American projects casting from the UK, like they did with Damien Lewis and David Harewood in Homeland. I don’t think it comes as a surprise… but Breaking Bad was just absolutely incredible! Also, Game of Thrones – but definitely Breaking Bad, just cos it changed the approach to television. It was telling a complete story over a 5-season arc, and the seasons kind of broke down into performance storytelling – it wasnt just a continuation of, “okay this happens this week and this next week, and if people are still watching it we’ll carry it on” – there was a definite storyline. It’s like the original Star Wars films – the first was Act I, the second Act II and so on… and overall, they told an amazing story but were fantastic in their own right. I could easily watch one episode of Breaking Bad and enjoy that one episode because there is so much going on – yet still have the addictive element of wanting to see it evolve as a whole. You’ve has a busy year, will you be taking time off for Christmas? I’m visiting my sister who’s in New York training at the American Academy of Dramatic Arts. I’ve never been to the states so that will be an adventure. She wanted to be an actress long before I thought of acting. I started through dance in musical theatre and trained in ballet for several years. It was when I did my work experience at Independent Talent (which then was ICM), that’s when I got my first taste of what a film script was and the industry. I love that it is an industry and business. I was always really conflicted; I was always academic (Jassa studied Spanish and Russian at UCL), yet I also liked enterprise… but then I was also creative and I liked being able to be artistic. I never felt anything I’d done up till then had been able to marry the two. When I worked there I saw the ‘show’ part and the ‘business’ part, and I could get just as stuck into both sides of it. I’m very proactive in waiting. This year I had The Whale, then a day off straight into Some Girls – had a couple of days off then straight onto Ripper Street – released a short film in-between and then was off to Romania (to film a NBC feature film Jassa is as yet unable to divulge). Any ideas if a third series of Some Girls is on the cards? I’ve heard positive rumours but no official announcements…. ← Rupert Penry-Jones confirms ITV’s ‘Whitechapel’ axed!